That is because this AMG GT is being built for one very special driver. 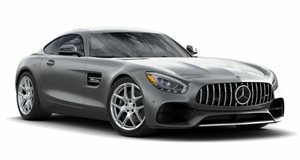 There has been a lot of news about the Mercedes AMG GT in recent days. Are you sick of it all yet? No? Good, because we have more coming! Mercedes-Benz Formula 1 driver Lewis Hamilton has expressed interest in building his own version of the AMG GT. Hamilton already owns a Pagani Zonda LH which was spec'd by him and even bares his initials. Hamilton could be placing his order for a one-off AMG GT R LH Series. That doesn't exactly roll off the tongue now does it? In an interview with Motoring, Hamilton said: "They told me they were doing this project and they’d love me to get involved. They showed me the car and when I first saw it they’d already designed it. I had all these ideas but they couldn’t be added to this [GT R] model." Perhaps the GT R might not be the exact car that Hamilton ends up basing his car on. Mercedes could wait for a future Black Series or GT4 version. Hamilton said that he wants the car to “feel as close as possible to what I feel [in an F1 car],” which means tons of downforce. He also said that if he had his way, the car would pack a V12 engine. Lewis Hamilton, we like your style.